This research center was created in 1993 as a center to expand and intensify the actions of the Ministry of Agriculture, Food and Environment in the field of Animal Health. CISA is part of INIA (Instituto Nacional de Tecnologia Agraria y Alimentaria). 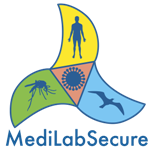 CISA can address, in conditions of high Biological Safety, Animal Health research needs and participates very actively in the technological development and international cooperation. CISA focuses on those aspects of emerging and exotic diseases of economic importance that may affect the Spanish livestock. The Centre is located in Valdeolmos, 40 Km North-East of Madrid and it is the setting of a High Bio-Containment facility of 10.824 m2. CISA is recognized as Spanish Scientific and Technological Infrastructure. It is a Biosafety Reference Laboratory for FAO. CISA performs activities as Reference Laboratory for the European Union (EU) and participates in different surveillance programmes for the Spanish Ministry of Agriculture, Food and Marine Affairs, as specialized laboratory supporting the activities of the National Reference Laboratories for infectious diseases of compulsory declaration. CISA-INIA was designed to perform R&D activities, international cooperation and transfer of technology on Animal health, mainly on emerging and transboundary animal infectious diseases of great economic impact. 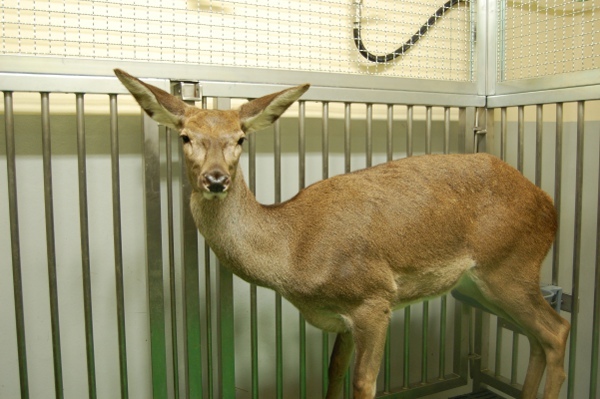 CISA is rather unique, mainly due to the size and quality of its animal facilities in Biosafety level 3 (BSL-3). Due to these features, CISA has reached the status of Singular Scientific and Technological Infrastructure in Spain. CISA is the European Union reference laboratory for african swine fever (ASF) from 2002, the FAO reference laboratory of ASF and collaborating center for FAO in biosafety and emerging viral diseases. Research in emerging, re-emerging and transboundary infectious diseases affecting animals, particularly those causing severe economic losses for livestock producers and involve a high risk for Spain, among them African and classical swine fever, African horse sickness, foot and mouth disease, vesicular stomatitis, swine vesicular disease, transmissible spongiform encephalopaties, bluetongue, West Nile fever, avian Influenza, Rift Valley fever, peste des petit ruminants, and other relevant infectious diseases for livestock production and aquaculture. Research in the immune and pathogenic mechanisms of infectious diseases. New generation of vaccines and diagnostic methods for early control of infectious diseases. Epidemiology of infectious animal diseases mainly focused on environmental variables as risk factors and on wildlife as reservoirs. Spatial analysis of the introduction and spreading of animal diseases.. Environmental and sanitary evaluation of antimicrobials used in veterinary medicine. International cooperation with institutions such as the International Livestock Research Institute (ILRI, Kenya) & Organizations such as FAO, OIE, EU, AECID (Spanish International Cooperation Agency), OIRSA (International Regional Organization for Plant and Animal Health), etc, for Research and development projects, technology transfer, international consulting, and support in diagnosis and eradication programmes. Educational technology transfer within the Centre main research activities though the organization of national and international courses in Spain and Latin America, on training stays for foreign scientific and technical staff. High biocontainment BSL-3 Facility (P4-OIE) area holds 23 laboratories and 21 individual, isolated, aerosol-proof rooms for animal experimentation, designed to work with different animal species, including large animals, enabling in vivo experimentation with aerosol transmissible pathogens such as FMDV. 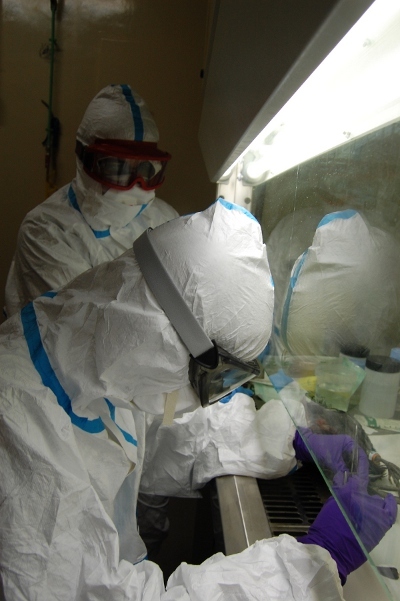 In addition, the high biocontainment facility holds 2 laboratories with enhanced biosafety meaures, enabling the work with zoonotic infectious agents dangerous for humans for which treatment or vaccine is not available to date.